Maggie, Joe, and Daisy are up to their usual antics. This time they are set on celebrating Thanksgiving with their friends. Not just their doggy friends, but others as well. The adventure begins with a trip out the loose board in the backyard to the grocery store and proceeds from there. See if you can recognize who will like what food. It is a book which teaches us all, adults and children alike the importance of being thankful for what we have and what we can share. As a plus, Sharon has added a history lesson at the back of the book about the origins of Thanksgiving. Her books are always geared to teach as well as entertain. Thanks, Sharon for another fun adventure with the Go Spaniel family. 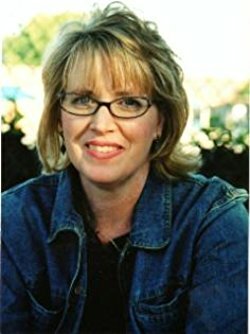 Sharon Ellsberry is the author of five children’s books, The Spaniel Family Goes to the State Fair, and The Spaniel Family’s Pen Pal Adventure, The Mystery of the Spaniel Family’s Dog House, The Spaniel Family’s Thanksgiving, and her latest, The Spaniel Family’s Time Capsule Mystery. Sharon is a member of the Society of Children’s Book Writers and Illustrators and participates in several critique groups. Her Pen Pal book was honored at the North Texas Book Festival in the spring of 2008 as a finalist for the children’s book award from this group. Her State Fair book is now in its fourth printing and her Pen Pal book is in its second printing. 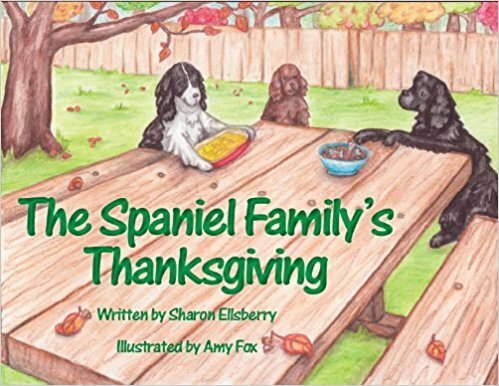 In 2010 Her Dog House Mystery book was suggested for the master reading list for the Texas Bluebonnet Award, and in 2012 the Thanksgiving book was awarded the Dove Foundation’s seal of approval. Prior to the publishing of her first book, Sharon had a long career in the Gift and Decorative Accessories Industry. Sharon is also a speaker who entertains and teaches children through the lesson in each of her books. I have read all of her books and been so impressed by how each book has a song or a lesson, or a glossary. She and her books are the total packages for anyone who wants to give a gift or expand the world of children everywhere.